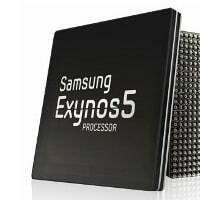 There has been such a great debate on whether the Exynos Octa Galaxy S4 is much better than the Snapdragon 600, and the fact that for now only the I9505 Galaxy S4 is available for sale (the one with Snapdragon) is making people think it’s not fair that they buy this version knowing that there’s another version of the same phone which is better. Because of this misunderstandings, J.K. Shin, Samsung Mobile Chief, has came out with a statement saying that people have no reason to worry about what processor is inside their Galaxy S4. There is indeed a slight advantage in benchmark tests for the Exynos Octa, but most of the users have no use of that, and for them there will be absolutely no difference between the two phones. J.K. Shin also said that there is no connection between LTE and the processors as now both of them support the 4G connectivity. It’s simply because Samsung needed to manage the enormous demand for the Galaxy S4, so they needed two processors to supply enough devices. This is simply a sourcing issue, says Shin. So from now on, don’t worry about the processor inside your Galaxy S4 because the differences are unnoticeable, at least according to Samsung Mobile’s chief.